California pending home sales were down by 2.6 percent year over year in July, while activity in the Bay Area decreased by 11.5 percent. San Mateo, San Francisco, and Santa Clara counties all saw pending home sales drop on an annual basis. The California Association of Realtors predicts slowing sales this fall, though competition for homes should persist. Tight inventory conditions and worsening affordability again stifled pending sales in California last month, which may indicate a slower-than-usual fall for home sales. 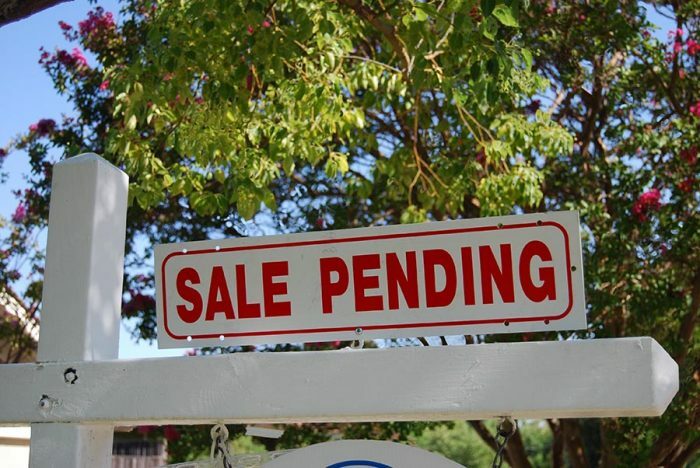 The California Association of Realtors’ Pending Home Sales Index fell to 119.4 in July, down 2.6 percent year over year for the seventh straight month of declines. Bay Area pending sales fell for the 10th consecutive month, dropping by 11.5 percent from July 2016, the largest decline in the state. Activity dropped in every Bay Area county for which CAR tracks data: San Mateo (-21.4 percent), San Francisco (-11.0 percent), and Santa Clara (-9.8 percent). CAR’s July home sales and price report says that the monthly supply of inventory was down year over year in the state and tghe nine-county Bay Area in July, which helped to suppress pending sales activity. There were 37 percent more homes sold than there were new listings, with 71 percent of California counties reporting that sales outpaced homes coming on the market. The shortage of homes for sale remains California real estate professionals’ top concern, cited by 30 percent of respondents to CAR’s accompanying Market Pulse Survey. Twenty-eight percent pointed to California’s eroding housing affordability, which dropped in the second quarter, as less than one-third of households are able to qualify for a mortgage on a median-priced home in the state. CAR says that it expects a competitive environment this fall, as would-be buyers jockey for the limited amount for homes on the market. Nearly two-thirds of homes garnered multiple offers in July, with the average number of offers at 2.8. Looking forward, CAR forecasts that home sales activity will slow in the coming months, as real estate professionals reported fewer listing appointments and less traffic at open houses in July than in June. Still, there is no shortage of demand for Golden State homes, and CAR expects further price growth this fall. California’s median single-family home sales price was $549,460 in July, up 7.4 percent from July 2016, while the Bay Area’s median price was just shy of $900,000,an annual gain of 10.9 percent.